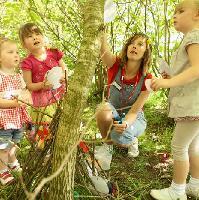 We run Nature Tots sessions every Friday during Lancashire School Term time. Tickets include refreshments and a £2.00 parking discount voucher. Adults are free of charge. Please come dressed for the weather wearing sturdy footwear. The majority of the session takes place outside.